The inaugural Hemp, Health & Innovation Expo will be held on May 14th and 15th 2016 at Rose Hill Gardens in Sydney. The expo will feature clothing, bedding, beauty and health products made with industrial hemp; also medicinal hemp products, building materials such as hempcrete, hydroponic equipment and supplies. The event will focus on improving public awareness and promoting the many benefits and uses of industrial hemp and medicinal cannabis. “Over 80 exhibitors of every kind of hemp product and more, come and look, feel, taste, and experience it all,” state the event organisers. The second ‘United in Compassion’ Medicinal Cannabis Symposium will also be held during the expo and will be opened by New South Wales’ Premier, Mike Baird. Among the speakers will be medical cannabis crusader, Lucy Haslam. Ms. Haslam was a finalist in the 2016 NSW Australian of the Year Awards, is the Executive Director of United in Compassion and is behind Australia’s first medicinal cannabis farm; situated near Tamworth in New South Wales. Ms. Haslam’s passion came about as a result of her son Dan’s battle with cancer. While Dan ultimately lost his battle, medical cannabis provided him some relief from the crippling nausea he experienced. Since Dan’s passing, Ms. Haslam and her husband have continued the fight on behalf of others for easy access to medications. The Symposium’s aim is to provide easy to understand expert knowledge. The speaker list reads like a who’s who of the medical cannabis industry; with quite a few of the speakers traveling from the USA to attend. Some of the funds raised from tickets sold for the expo will be donated directly to United In Compassion to assist with their research work, education programs, patient advocacy and lobbying efforts. Among those sponsoring the expo is the New South Wales Government and Epilepsy Action Australia. 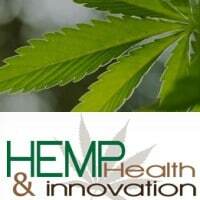 Further information on the Hemp, Health & Innovation Expo can be viewed here.